An attack on a Pittsburgh synagogue Saturday in which multiple people were shot to death comes amid a sharp rise in anti-Semitism reported by a Jewish civil rights organization, particularly before the mid-term elections. Far-right extremists have rallied before the elections next month to spread hate online, according to one report released on Friday by the Anti-Defamation League. There is a consistent pattern of harassment of Jewish Americans by white supremacists and neo-Nazis — much of it based on hateful stereotypes and conspiracies — and some of it is bleeding into more mainstream U.S. conservatism, it found. George Soros, a billionaire, philanthropist and a Hungarian-born Jew, was one of the most frequent online targets by white nationalists. Soros — who received one of the pipe bombs that were sent over the past week to prominent Democrats and CNN — has been falsely accused of funding, among other things, the caravan of Central American migrants heading for the U.S. border, and of paying the women who confronted Republican senators about Brett Kavanaugh's nomination to the U.S. Supreme Court. Those charges and others, some spread by mainstream politicians, have been debunked. And Jewish journalists faced an onslaught of online persecution and overtly anti-Semitic tweets between 2015 and 2016, the Anti-Defamation League found. The five most common words in the account bios of those sending the harassing tweets were Trump, conservative, white, nationalist and America, according to the report. Reporters received threatening messages that included references to concentration camps, gas chambers and Hitler. "Prior to the election of President Donald Trump, anti-Semitic harassment and attacks were rare and unexpected, even for Jewish Americans who were prominently situated in the public eye," the report said. "Following his election, anti-Semitism has become normalized and harassment is a daily occurrence." 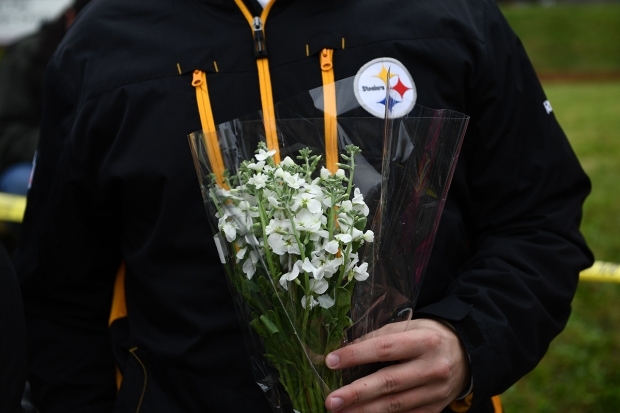 The shooting Saturday morning took place near the Tree of Life Synagogue in Pittsburgh while a circumcision celebration, known as a bris, was taking place, congregants told MSNBC. In addition to the fatalities, two other victims had critical injuries and four police officers, three of whom were shot, had non-life-threatening injuries, according to the Pittsburgh public safety director. The suspect, 46-year-old Robert Bowers of Pittsburgh, who is in custody, was armed with an AR-15-style rifle and multiple handguns, NBC News reported. What appeared to be his account on a social media site called Gab, contained multiple anti-Semitic messages, including ones aimed at a Jewish-American organization that helps refugees, as well as comments critical of Trump. The shooting will be prosecuted as a hate crime, according to a tweet from the Pittsburgh Department of Public Safety. "A staggering expansion of online harassment coincided with, and arguably fomented, the increase in offline anti-Semitism," the ADL report said. "Fringe Internet communities, such as 4chan, 8chan, and Gab allowed for the propagation of such ideas, which quickly spread to Twitter, Reddit, and other mainstream online communities." Gab said in a statement that it contacted law enforcement quickly with the information from Bowers account. Jonathan Greenblatt, the CEO of the ADL, tweeted that the organization was working "to push back on prejudice." "We are devastated," he wrote. "Jews targeted on Shabbat morning at synagogue, a holy place of worship, is unconscionable." In the same statement, Gab reiterated that they have a zero tolerance policy on terrorism and violence. "Gab unequivocally disavows and condemns all acts of terrorism and violence." Trump tweeted, "God Bless All!," and later said: "It's a terrible, terrible thing what's going on with hate in our country, frankly, and all over the world," the president said. "It's a violent world. You think when you're over it, it just goes away but then it comes back in the form of a madman, a wacko." 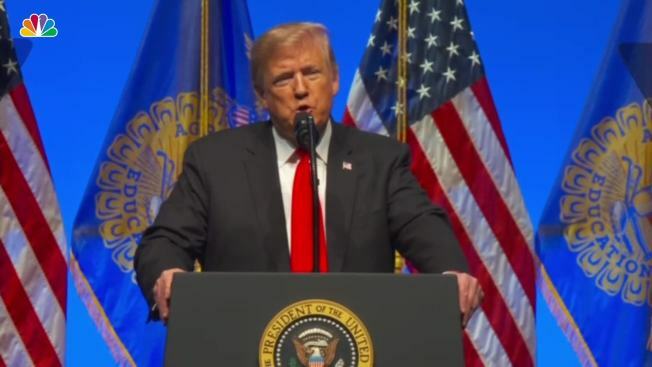 Later, during a previously scheduled event in Indiana, Trump said that anti-Semitism "represents one of the ugliest and darkest features of human history. The vile hate-filled poison of anti-Semitism must be condemned and confronted." A 2017 study of the Greater Pittsburgh Jewish community released by Brandeis University found that more than two-thirds of the community had some concern about local anti-Semitism. Another report from the ADL in May found that about 3 million Twitter users posted or reposted at least 4.2 million anti-Semitic tweets over a 12-month period ending Jan. 28, according to The Associated Press. And in February, the ADL reported that the number of anti-Semitic incidents — harassment, vandalism, desecration of Jewish graves, physical assaults and bomb threats against Jewish institutions — rose nearly 60 percent last year over 2016, the largest single-year increase on record. There were 1,986 incidents reported across the United States. For the first time since 2010, an incident had occurred in every state in the country. The sharp rise was in part due to an increase in incidents in schools and on college campuses, it wrote.